We’ve all been there — running late to meeting only to realize that we can’t find our keys. At that point, stress levels are just about to skyrocket through the roof. Avoid this scenario once and for all with the KeySmart Pro with Tile Smart Location. With this ingenious invention, you can rest easy knowing that you’ll never lose your keys ever again. The KeySmart Pro with Tile Smart Location is so popular that it was featured on Gizmodo, TechCrunch, GQ, CNET, and many other publications. It’s such a simple device in theory, but the benefits it provides are endless! 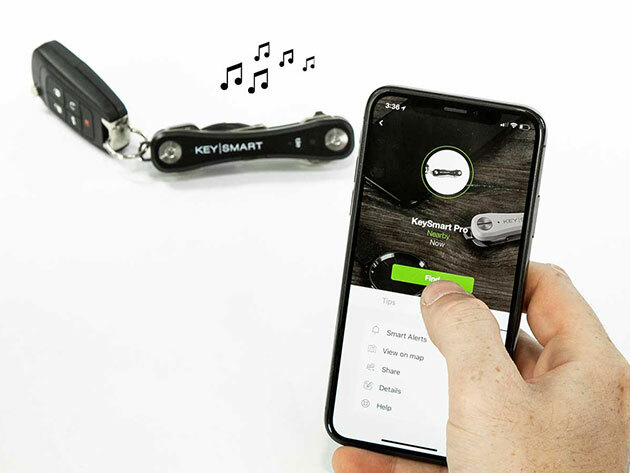 As the world’s simplest key organizer, KeySmart Pro utilizes its revolutionary technology known as Tile™ Smart Location. This technology is what syncs up to your smartphone via the Tile™ app, which tells you where your keys are located at any hour of the day. Each KeySmart Pro can easily hold up to 10 keys. Also included with this device is a powerful LED light, bottle opener, and loop piece to attach car keys. Originally, the KeySmart Pro with Tile Smart Location was 33% off at the low price of $39.99. Since it’s almost Thanksgiving, we’ve decided to throw in an additional discount! Be sure to use the coupon code, EBFSD15, during checkout for an additional 15% off.